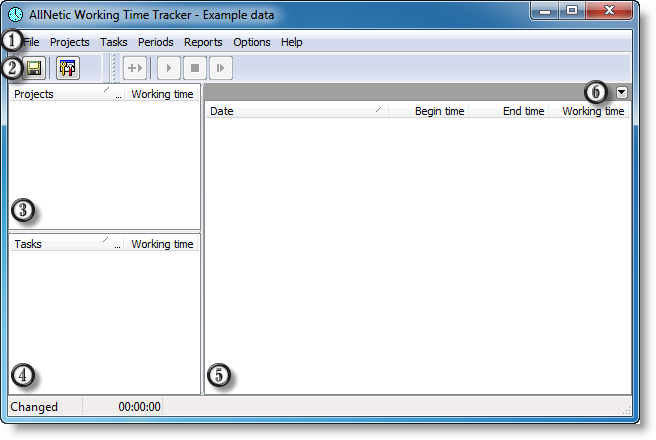 The main application feature is time metering based on multiple tasks. Create projects you are working on; then in each project create tasks it is divided to. Your time will be accounted separately for each task, and you will be able to check how much time you spend on each task or the project as a whole. 2. Add projects you are going to monitor. 3. Now for each project create a list of tasks that you want to track separately. 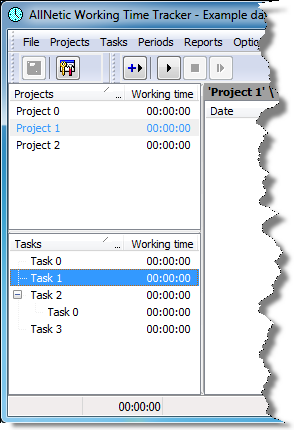 Please note that you cannot start time tracking for an empty project (containing no tasks). To start time tracking, create at least one task. 4. That's it! Quick start is done. Now, when you start working, choose appropriate task and launch time metering. When you finish, stop the metering. 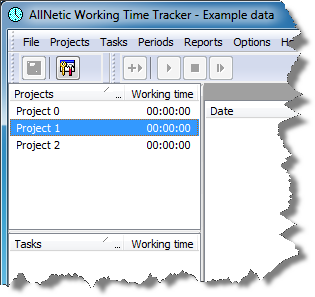 AllNetic Working Time Tracker will help you to keep these operations in mind. 5. And the main thing – you decide what are you working on and are you working at all – not the program. However, feel free to monitor how much time you play video games... You can track not only your working time, but also you can meter how much time you fritter away!